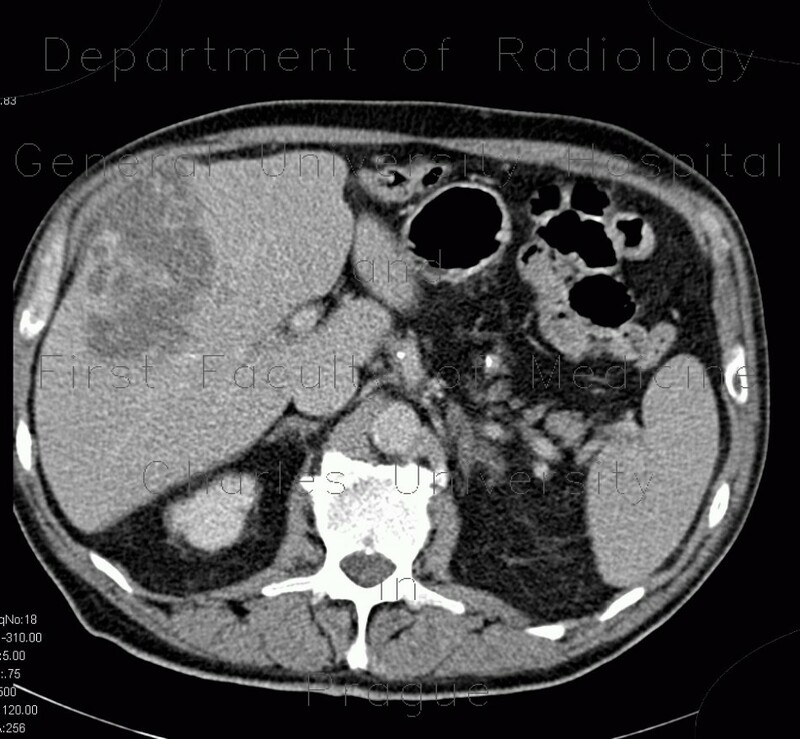 A large mass in the liver shows moderate enhancement from the periphery in the arterial and portal venous phase. Delayed phase shows that peripheral part fo the mass becomes isodense to the liver, however, there is a large central part that remains hypodense. Although such peripheral enhancement is more typical in hemangiomas, in this case it enhanced substantially less than the vasculature. The adjacent subcapsular bleeding should be a giveaway. Angiography shows fluffs of pathologic vasculature.